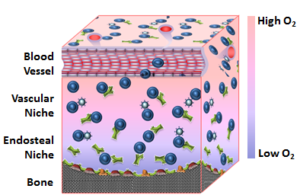 Cellatrix provides a physiologically relevant, patient-derived 3D culture system that accurately recapitulates the complex biology of the bone marrow microenvironment. Impacting biological research, drug discovery and personalized medicine in hematological malignancies, especially in Multiple Myeloma. Cellatrix LLC is a biotechnology company in Saint Louis, Missouri. Its mission is focused on the development of science, research involving both basic and translational approaches, and drug development for the ultimate goal of patient care.